How can I find data for a neighbouring or other council area? You can find the full range of resources and locations in which they're available via the .id community search bar. If you have started profiling your area and would like to see how it compares to another place - great work! Benchmarking, along with time series analysis, are the two funamental techniques for telling the story of place by giving context to data. In most of our online tools, benchmarking is a standard feature - you can usually see how a place compares (for a given characteristic) to an other area (typically a wider-geography, such as a region, state or the entire country). If you want to know more detail about a neighbouring or other council area, there's a good chance they subscribe to the same resource as your area. 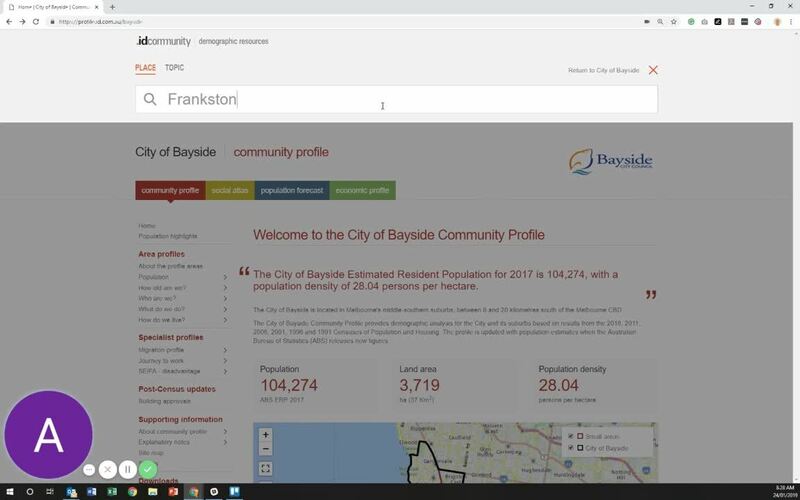 To find out if that is the case, simply search for the name of the local government area, or any small area within it, and the .id community search feature will show you all available areas. I can't find data for the area I want. What are my other options?